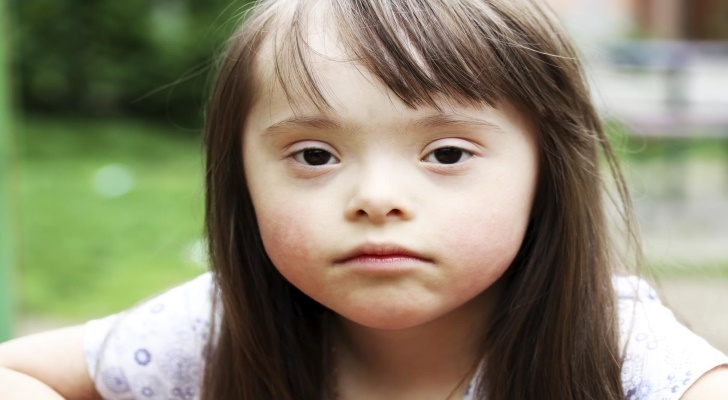 Speaking about the physical qualities, it seems that the patients with Down syndrome have too short necks. It is one of the disorders which can be noticed by the physical appearance of the person, not only internal problems. In more than 80% of all cases, children and even newborn babies demonstrate obvious physical deviations. The length of the neck is then beyond the average. The symptom may disappear with age. Have you noticed any brush field spots in your child? One more common sign is the formations in the eye iris. When you notice it, do not panic immediately – it’s a common sign many children may experience at the early stages. Once the connective tissue aggregates, the symptom shows up. It is curious that European population experiences brush field spots more often than other ethnic groups.